State Mission for Clean Ganga-Uttar Pradesh (SMCG-UP) in an extended arm of National Mission for Clean Ganga (NMCG) for the state of Uttar Pradesh and implementing the Namami Gange and other programmes through various executing agencies. At state level it is implementing arm of State Ganga Committee constituted vide S.O. 3187 E dated 7th October, 2016 under Environment protection act 1986. Initially under the National Ganga River Basin Authority constituted vide Government of India (Ministry of Environment and forest) notification no S.0. 521 (E) dated 20 February, 2009, the Central Government had constituted an authority in exercise of powers conferred by Section 3(3) of E part 1986 (29 of 1986) for taking measures of effective abatement of Pollution and conservation of river Ganga, in the state of Uttar Pradesh. The said authority constituted vide Ministry of Environment and forest notification no. 5.0. 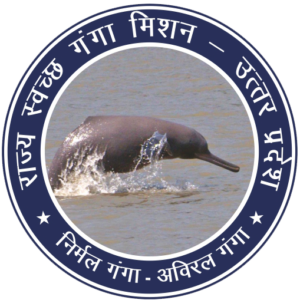 2493 (E) dated 30th September, 2009 was named as Uttar Pradesh State Ganga River Conservation Authority (UPSGRCA) which was registered as society on 17° February, 2011 under the societies Registration act 1860, with headquarter at Lucknow. This society was designated as the project Management group for implementation of the NGRBA programme at the state level by appendix VI of the note for cabinet committee on Economic affairs dated 15.04.2011. Since then this society was working as State Project Management Group (SPMG) for implementing NGRBA programme in UP till 07.10.2016.